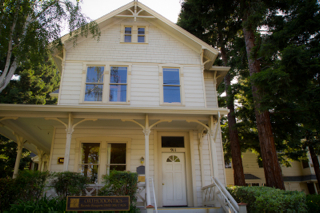 Current patients we proudly treat are from Danville, San Ramon, Fairfield, Castro Valley, the entire Bay Area, 26 states and even come to us internationally. Quick! Invisalign and BRACES up to 64% Faster with Propel System! Our motto "Live.Laugh.Smile." reflects the energy and passion we have for our patients, for life, and the importance of a beautiful smile. We not only treat our patients to develop a sophisticated smile, we strive to deliver a lasting youthful smile at any age which aims to improve ones overall quality of life . Did you know several studies have shown that individuals who received orthodontic treatment displayed higher levels of confidence and self-esteem, the foundation for developing a successful career and fulfilling life? Using the latest IN HOUSE 3D SCANs and under the direct care of Dr. Busquets our mission is to maintain teeth in a healthy environment with a touch of sophistication. Our RAPID TOOTH MOVEMENT minimizes unsightly appliances (NO HEADGEAR OR EXTRACTIONS), and customizes a treatment plan for each patient to enhance effectiveness, efficiency, and healthy joints (TMJ). When you are with us expect a relaxing atmosphere in a boutique-like setting with the highest level of care. And by the time you leave we know you will have your very own OLYMPIC SMILE. 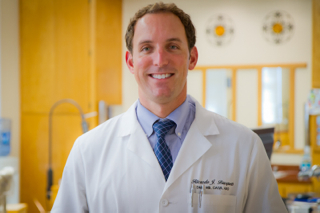 DID YOU KNOW... DR. BUSQUETS IS A FOUR-TIME OLYMPIAN IN SWIMMING? "Providing excellence in Orthodontics for children, teenagers and adults in Danville, San Ramon, Alamo, Walnut Creek, Pleasant Hill, Concord, Pleasanton, Dublin, Castro Valley, Hayward and Fairfield "
El unico ORTODONCISTA HISPANO en el area, Hablamos ESPANOL! Contact us today! Dr. Ricardo Busquets is a professional dedicated to Excellence in General, Family, & Cosmetic Dentistry such as Dental Makeovers, Porcelain Veneers, Orthodontics & many other dental procedures. 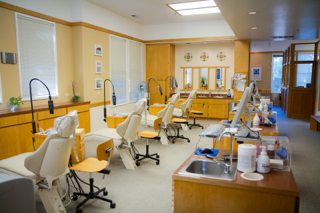 Please come and visit Orinda orthodontist, Dr. Ricardo Busquets.